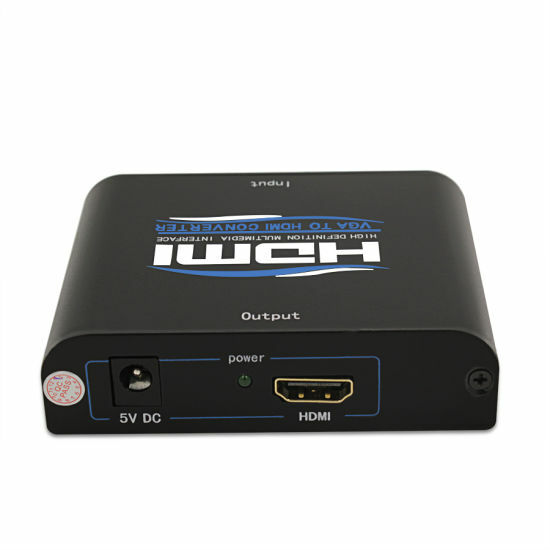 VGA to HDMI, VGA to HDMI Converter, HDMI Converter manufacturer / supplier in China, offering HDMI Converter VGA to HDMI, Bluetooth 5.0 Wireless Earbuds with Auto-Charging Box, Mini VGA to HDMI Upscaler 1080P and so on. 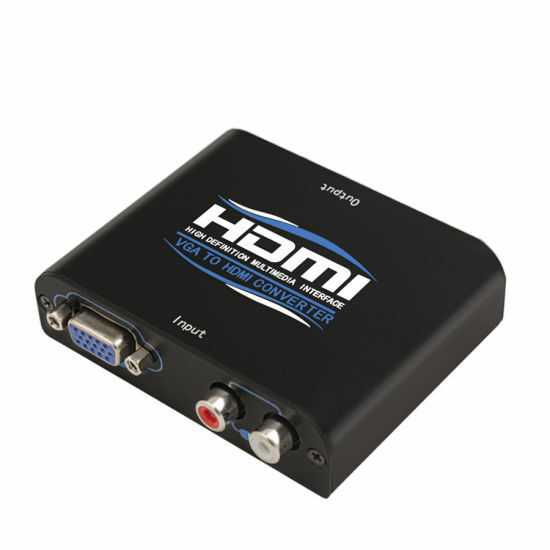 The VGA+R/L Audio Converter use a single VGA+R/L source, accessing to single HDMI1.1sink. 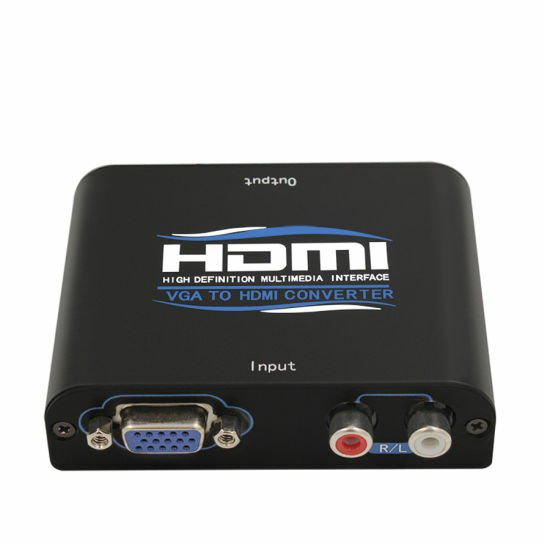 The Converter allows one VGA+R/L device to be converted easily to one HDMI1.1 monitor or projector. 7. LED indication: When source or sink is working, LED relative to is light. 1. 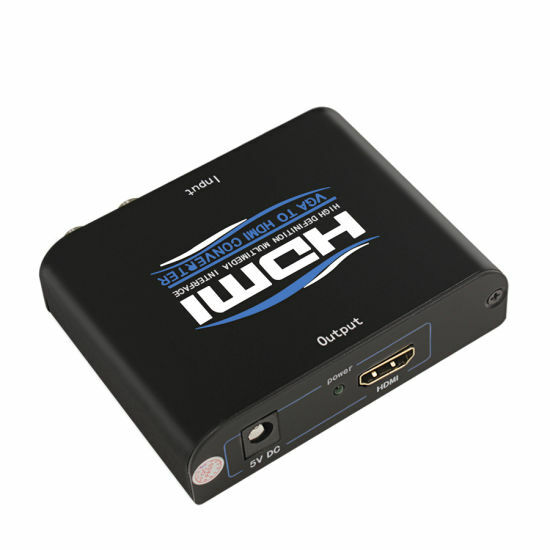 Connect VGA+R/L from VGA source devices into Converter input. 2. 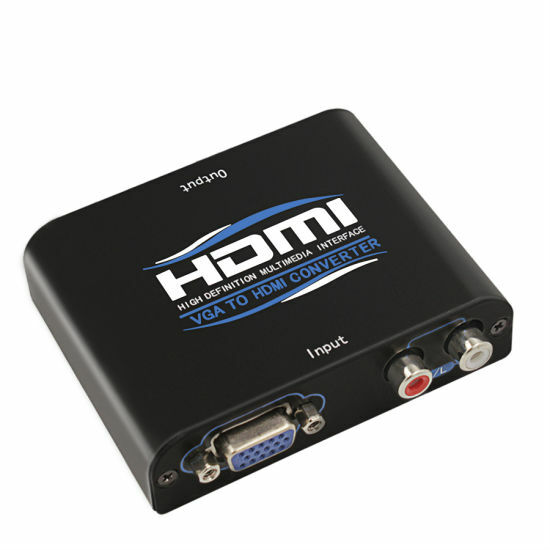 Connect one cable from HDMI1.3 display (monitor or projector) into the Converter outputs. 3. Connect 5V power supply to the HDCVGA0101 Converter.